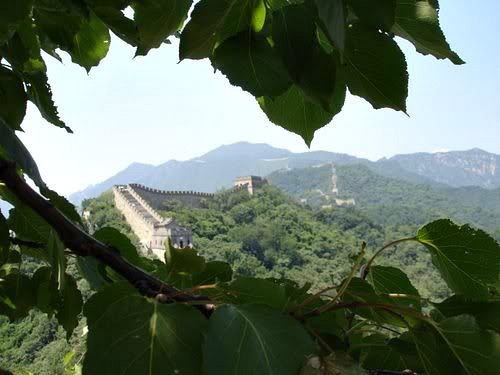 The Great Wall at Mutianyu is a little further away from Beijing than the Badaling section, and therefore is less crowded. 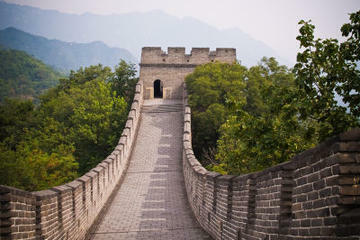 We went in the early afternoon and had basically the whole Wall all to ourselves. The drive from Beijing took us about two and a half hours since it was a Sunday and were stuck in traffic, but normally you can make it in less than two hours. 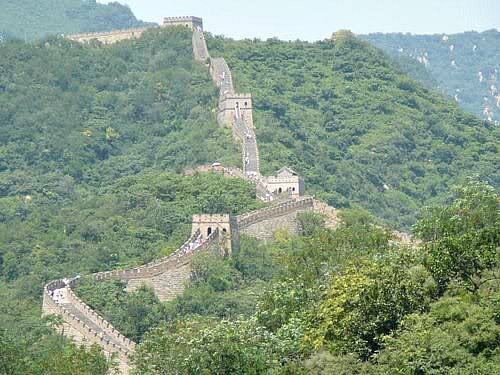 There is a Chair Lift that will take you all the way to the wall, they work just like the ones at the ski resorts. 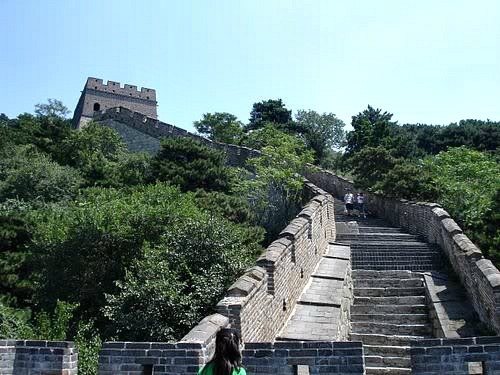 This section of the wall is fully restored and there are handrails at the very steep parts. From the Chair Lift station you can choose to walk either left or right. Half of us went to the right, the other half to the left. 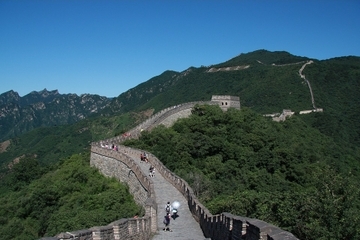 Both sides are about equal in terms of "difficulty" of climbing. 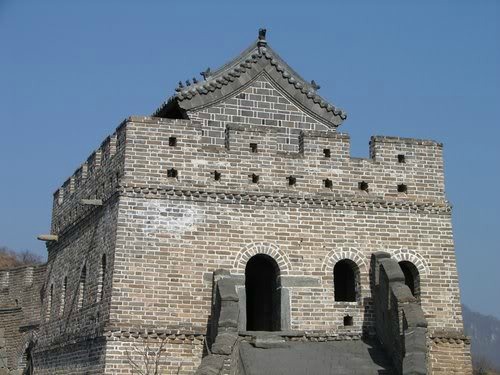 Climb the watchtowers that are spread throughout for a better view and check out the cannons. 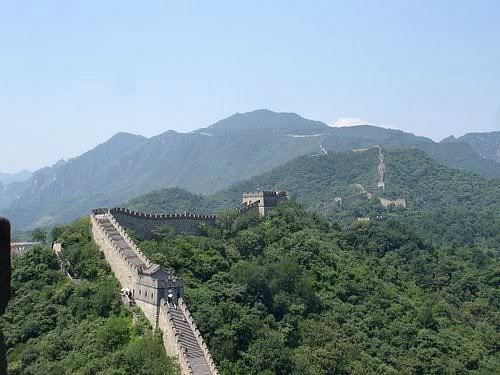 We walked around for a couple of hours and then returned to the same starting point and took the Toboggan down. 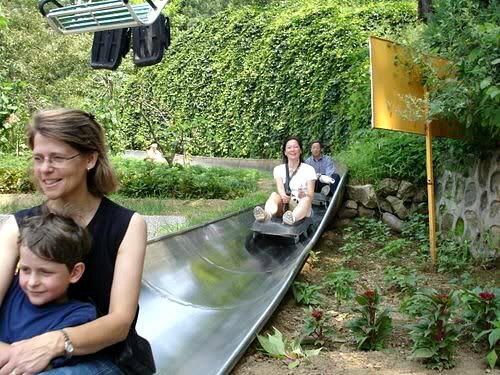 The ride down the Mutianyu Toboggan was a great bonus for the kids, they really enjoyed it. 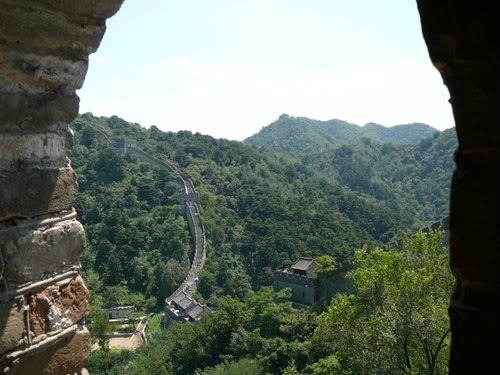 You wind around the mountain and can control your speed with the hand brake. Small children have to ride with an adult. Grandma and Grandpa decided they had enough action and took the chair lift down. 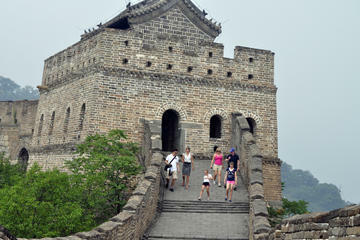 You can watch our Great Wall Mutianyu video including the ride down the Toboggan here. 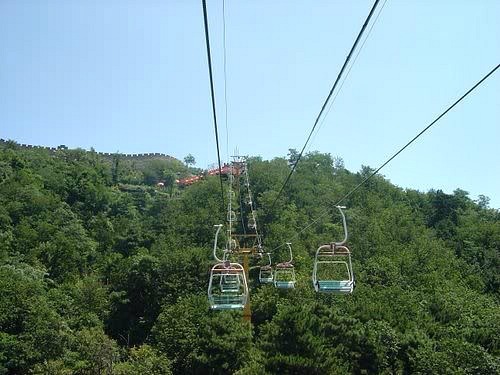 (2) take the Cable Car up, climb to the other end of the section where the Chair Lift and Toboggan stations are (about 2 km.) then take the Toboggan down. Read Lily's adventure here, they rode the cable car, had a pic nic in the middle and then slid (dogs and all) down the Toboggan. If you are doing this, make sure you only buy a one way ticket for the Cable Car, the operations are separate and you can not use tickets of one for the other. 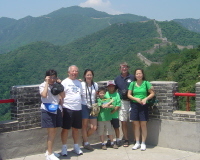 We found this was the perfect section of the wall for us because of our group that included the kids and my 74-year old parents. 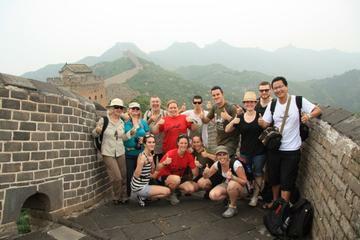 If you have older people in your group, or with limited mobility, I would recommend the Great Wall Mutianyu section over the other ones. 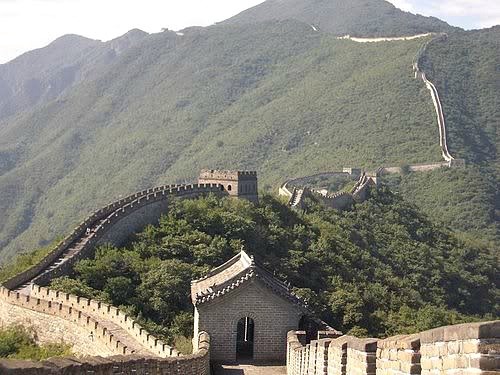 The Wall has been reconstructed and is easier to climb than the rougher sections of Simatai and Jinshanling, plus it doesn't get the crowds of Badaling. 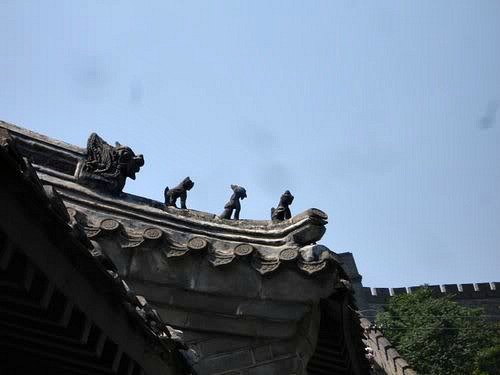 Have you been to Mutianyu recently?